Victorian Romance Gabi | The Gab Lab! I’ve made some head way on my Victorian aristocrat this week. I finished up the skirt by working on it during the week. 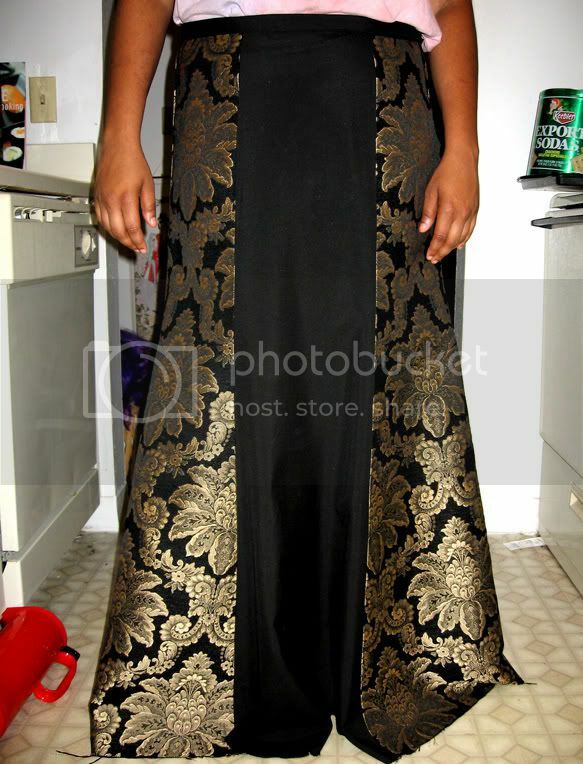 Since this picture was taken the skirt has been hemmed and the zipper was sewn in. Now the vest is half way done and I will be lining it today. I held up the buttons to it and I might opt to buy different ones while I go shopping for lace today. A shout out must go to Dark Morning for giving me this fabric. She wasn’t doing anything with it and out of the goodness of her heart just shipped me 5 gorgeous lengths of fabric. The gold print of this outfit is one of those. 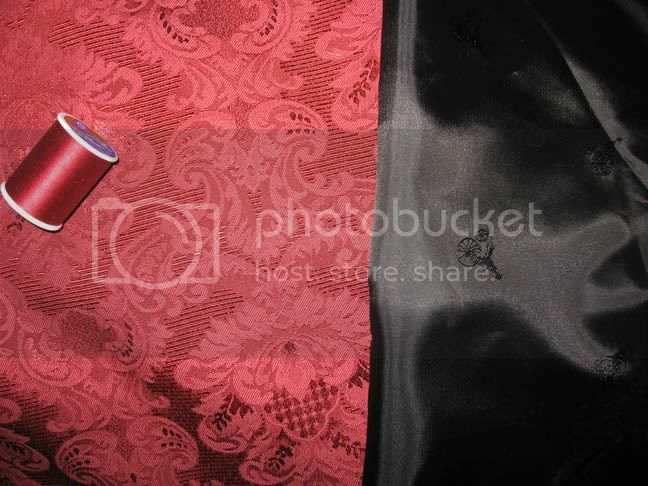 It just kept repeating to me that it wanted to be a victorian dress. That also might have been strengthened by my recent watching of Victorian Romance Emma. I’ll be wearing this Saturday at Dragoncon. 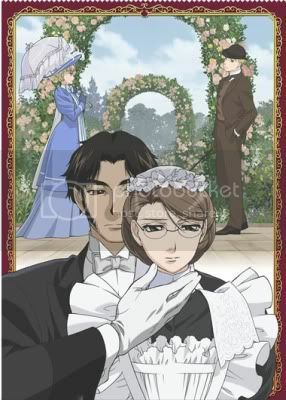 On some off chance I decided to look up something on Victorian Romance Emma, a series I saw the first season of and then it ended with the translated manga only going a little ways after. I looked for more for weeks and months after that. No updates and I stopped looking. Then when I was looking it up last night I stumbled on to Anime News Network’s page on it and it mentioned a second season back in April . WTF man!!! I didn’t hear about that. Sure enough I go looking and yes, there it is and I am searching furiously for torrents. Then sadness, it had just been licensed which is why iichan stopped torenting. I check piratebay, youtube, and 3 other places people suggested and no dice. Then suddenly isohunt had a torrent of the whole second season….thank goodness cause RightStuf is gonna take their sweet time subtitling it. Even sweeter is that the 2 gig file took about 4 hours to DL. Thank you seeders and now I repay you in seeding it back out. In case you haven’t seen this meticulously animated historically accurate beyond belief anime go find it. Anglophiles, Victorian era enthusiast, subtle love story lovers, and drama lovers will love it. Even if you aren’t one of those.. try it out…it’s such a nice mix and a break from outrageous anime with huge eyes and craziness. Right stuff will have it out after a while but at least each season is $40. For 11-12 eps a season that ain’t bad. Well I sound like an advertisement…. This entry was posted in Anime, Blog, Conventions, Cosplay, DIY, Sewing. Bookmark the permalink.